The DLC Expansion every true Call of Duty fan is waiting for will be out in February 2017 for Xbox One: Activision just announced Call of Duty: Infinite Warfare’s first DLC, titled Sabotage for PS4, Xbox One and PC. 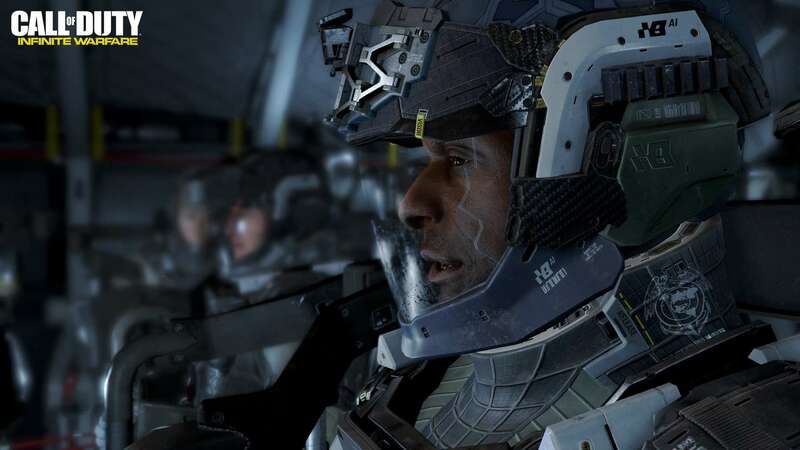 After many teasers, details on new Call of Duty maps were given out by developer Infinity Ward. The new DLC is to include four new multiplayer maps named Noir, Renaissance, Neon, and Dominion. Then, there is a ’90s-themed Zombies map called Rave in the Redwoods. All of the mentioned maps will arrive at the same time as a pack. You cannot purchase them individually, but you don’t need to buy every DLC map pack, either. Noir: Mainly inspired by the idea of a futuristic Brooklyn at night. Expect all sorts of variations in this three-lane night map. A sandy side, a decent neighborhood and of course, a deadly war zone in the middle. Renaissance: Set in Venice, Italy. Here, players will set out to the streets populated with classic architecture. Don’t underestimate the deathliness of the map, though. There are some hidden areas among the scenes that are perfect spots for snipers. Neon: A more virtual environment. Here, cars materialize out of thin air and people crumble into polygons in the most pixely way possible. To make it even more digitized, the map is given a Z-shaped architecture. Dominion: A re-imagining of the classic Afghan map from “Modern Warfare 2″. The only difference: It’s set on the planet Mars though there still are a bunch of recognizable areas. It has a very “a 1990s-slasher horror movie” feel to it. The Sabotage DLC is priced at $14.99. It is also includes the Call of Duty: Infinite Warfare Season Pass for $49.99. The PC and Xbox One version for Sabotage Infinite Warfare DLC is likely to be out either at the end of February or in early March 2017. The Expansion will be available first on PS4 on January 31, 2017. But don’t worry: The Xbox One and PC version will be released after 30 days or so.